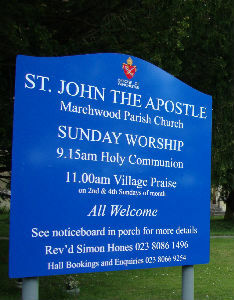 ST. JOHN'S CHURCH, IN MARCHWOOD IS OPEN EVERY DAY TO VISITORS, FOR THOSE WHO WISH TO PRAY, OR SIMPLY TO HAVE A FEW MOMENTS OF PEACE AND QUIETNESS. WE WARMLY WELCOME EVERYONE TO OUR ACTIVITIES. 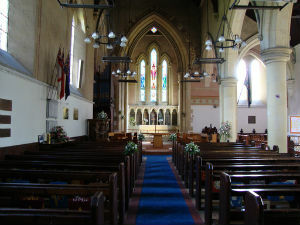 The church hall is available for hire for various occasions. 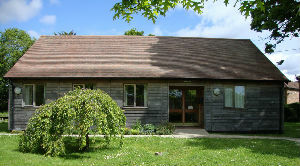 Situated within the village of Marchwood, near Southampton, the Church Hall makes an idea venue.